عندما تزور كوينز تاون, ستشعر أنك في بيتك في منتجع ريدجز لايك لاند،كوينزتاون الذي يقدم لك إقامة متميزة و خدمات عظيمة. يجذب هذا الفندق ذو 3.5 نجوم، والذي يبعد 0.5 km فقط عن وسط المدينة و 9.0 km عن المطار، الكثير من الزوار سنوياً. يوفر الفندق بفضل موقعة الجيد وصولاً سهلاً إلى أهم معالم المدينة.
. إن الخدمات التي يقدمها منتجع ريدجز لايك لاند،كوينزتاون تضمن للنزلاء إقامة مريحة. هذه بعض الخدمات الموجودة في هذا الفندق: خدمة الغرف على مدار الساعة, واي فاي مجاني في جميع الغرف, مكتب الاستقبال على مدار الساعة, واي فاي في المناطق العامة, صف السيارات. ادخل إلى واحدة من الغرف 165 وتخلص من عناء نهار طويل بمساعدة مجموعة كبيرة من الخدمات كمثل تلفزيون بشاشة مسطحة, غرفة معيشة منفصلة, اتصال لاسلكي بشبكة الإنترنت (مجاني), غرف لغير المدخنين, تدفئة الموجودة في بعض الغرف. يقدم الفندق مجموعة واسعة من وسائل الراحة المتنوعة، كمثل: تدليك. مهما كانت دواعي سفرك فإن منتجع ريدجز لايك لاند،كوينزتاون هو خيار ممتاز لإقامتك في كوينز تاون. 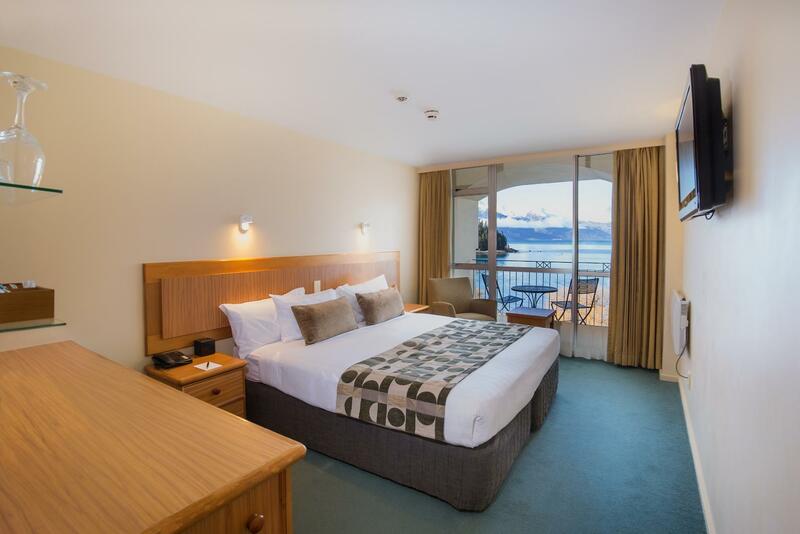 This hotel has prime location with superb views across the lake. The hotel itself is getting quiet tired, however, they are scheduled to start refurbishment. Wonderful staff! Great location. However, had to change rooms three times before satisfied. Carpet worn (hole in carpet near bedside); shower tub moldy; sliding class door did not close tightly letting road noise in. Everything was nice, until we need something and we can't call the receptionist or service room. there's nobody pick up the phone.. i guess this hotel is lack of staff, so when they have a lot of customer, they can't handle it. Except that, everything was great.. Thanks for make our honeymoon more awesome with room facing to the lake.. 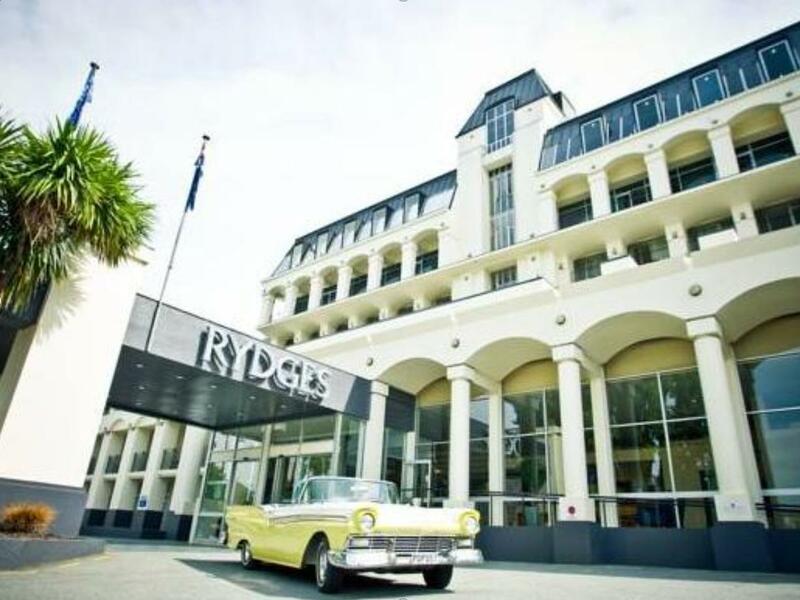 Spur of the moment trip, chose Rydges because we stayed in Rydges Hotels elsewhere and they were great. We stayed 4th floor Lakeside with a view over, brilliant position. 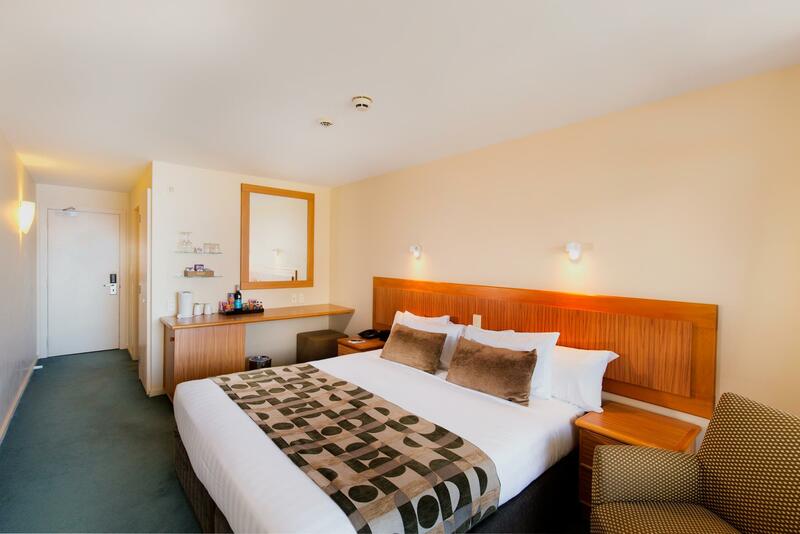 Hotel location close to town and an easy walk. Staff at the hotel were awesome, happy, friendly, all you could ask for. We had breakfast in our room rate and it would have been the best hotel breakfast I have ever had. The only let down was the room was a little tired, patchy carpet, mould on curtains, a little paint missing, but that doesn't put us off from staying there again. We are only in the room for night time so it met our requirements very easily, all we expected was a good bed and decent shower and the room provided both. The location is near to main city and view from Hotel room was fantastic. Vini, the manager is awesome! He was really helpful. The rooms are outdated but still comfy. It is right in front of the lake and just a short walk to the towncentre. Wifi is great! No airconditoner though. 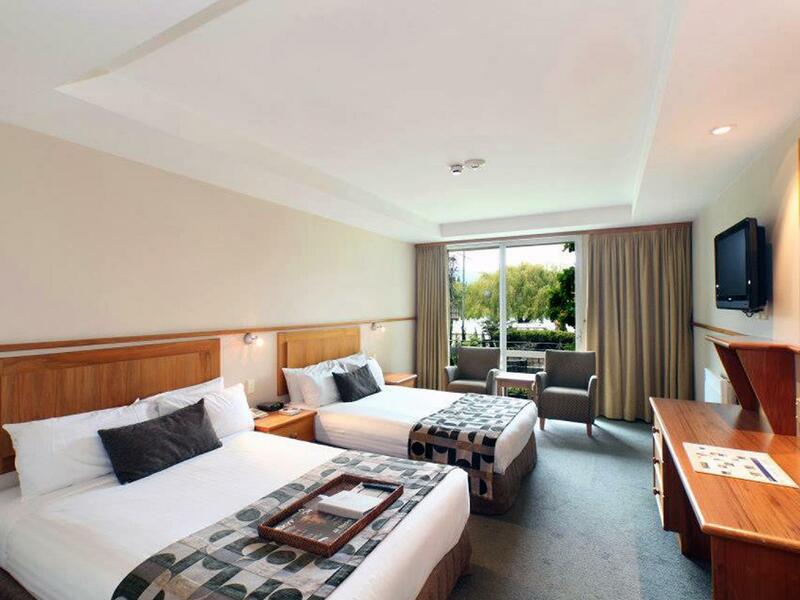 Clean and comfortable room, friendly and helpful staff. Buffet breakfast is excellent but I don't know of there is much variety because the two days we had breakfast the food was the same. We tried the dinner buffet as well and it is very good value for money! Our 4th floor room had a view of the lake, but not a direct balcony since all the rooms on our side have sliding doors that lead to a large outdoor common area. Try to get a room with a direct balcony for unobstructed views! This is a very lovely hotel with very location, just about 10 minute walk to the central. We were on the 7th floor which has the laundry service just across the hallway and car park right outside our window but it was still very quite at night. We had a room with great view of the water. The room is not spacious but good enough for 4 people, there were 2 bunk beds in single size. The TV is big enough but there were only about 10 channels. The bathroom was quite old looking but very clean. I loved the outdoor swimming pool and spa. Even though it was quite cold but the water in the pool was warm. Spa wasn't working properly but it was quite nice to spend half an hour sitting in the boiling hot water after a good swim. There were internet everywhere inside the hotel but sometimes the connection wasn't very good but other than that. It was a fabulous stay. I would definitely recommend this place. It was our first time staying at the resort. The room was huge, and clean. The bed is super big and very comfortable to sleep in. The only down side is the wifi. It worked most of the time but once in awhile we couldn't access the Internet. Its location is very close to the central, just about 10 minute walk. Disappointment with no gym facility and staff are not friendly. Car park even charge for $15, first floor lake front view with block of cars on the road and easy access from street and not secured window lock. Safe is provided but with no lock. There is no A/C in the hotel. The weather was really hot so we opened the windows. However, there people yelling up & down the street all night. The room service is really overpriced. Ordered a fruit tray- received one grape sliced up, one strawberry sliced, 3 slivers of an apple, & a sliver of a mango. Hardly a fruit tray. Would not stay here again. Really glad We made the decision to stay with Rydges, contrary to some review we read, we found the hotel staffs to be very polite and friendly. When we check-in, Anthony from the front desk is really courteous and professional. Our room has a view of the lake and it was spectacular... room is clean and spacious. Lighting is good, bed is very comfortable. 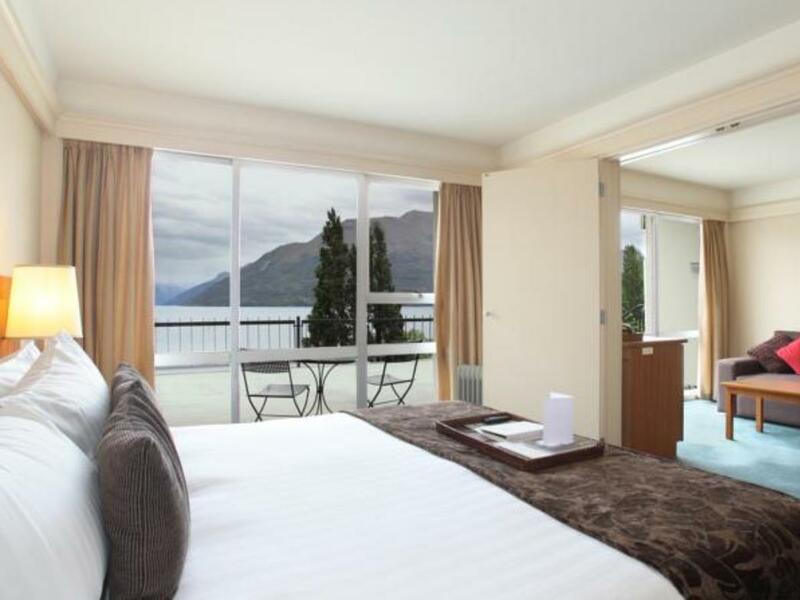 The hotel is only 5 mins walk to the center of Queenstown. There are free on site parking at the hotel however if the hotel car park is full, try find the road side parking along the road in front of the hotel. We have no problem finding a spot for our rather large Toyota minibus. 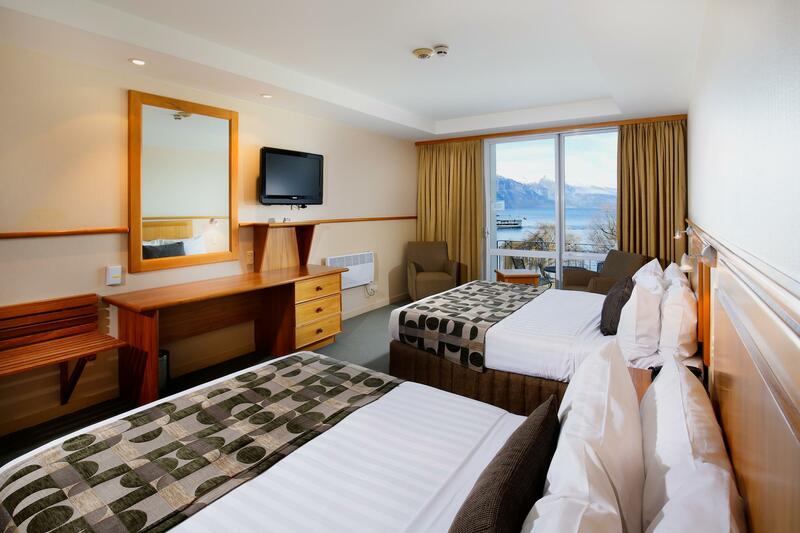 We really enjoy Queenstown and we are already planning to come back and will be staying at the Rydges again if there is room available. Highly recommended..
All the Pretty Boys Staffs seem disinterested on helping you out but being a robot checking you in and out. They gave me 1 sentence about where my room was and I end up getting lost and had to ask a lovely cleaning lady instead. It seem like They tend to hire booking service agent with look but not customer service experience. Didn't even inform me the important info that I think customer should know. Like blocking credit card detail by how much. All i got was " i Just need your credit card" and then you Room is to the left and just keep walking along that corridor. that would be as much as conversation as I had when I was checking in. The view from our room is spectacular. It was facing Lake Wakatipu and St Omer Park. 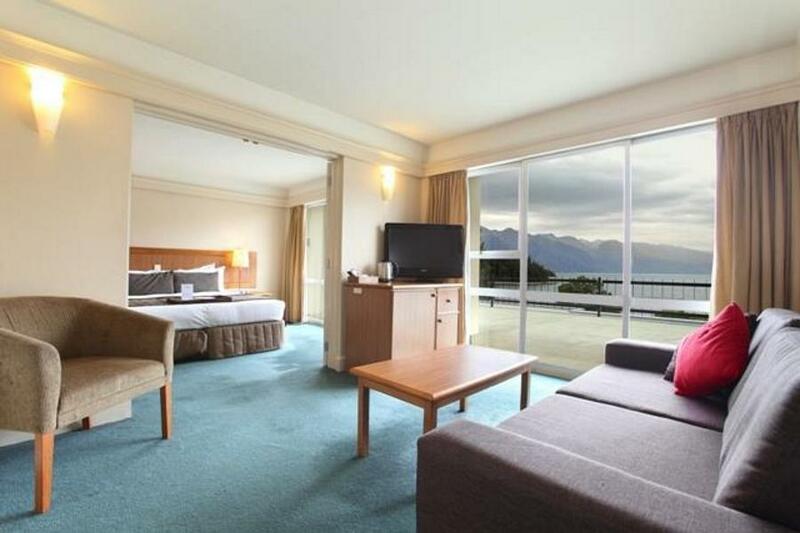 Very good location, 10mins walk to Queenstown proper. Very accomodating staff. They have unlimited Wi-fi for all your devices. I would highly recommend this hotel to travellers.